Many companies have their own parts libraries or templates that allow designers to use a single component in multiple designs without having to re-create it in each assembly file. This can save hours or days of work per project. Workbench can manage these common components, keeping them updated for all team members in all projects. The steps below show one example of how to implement a standard parts library in Workbench. 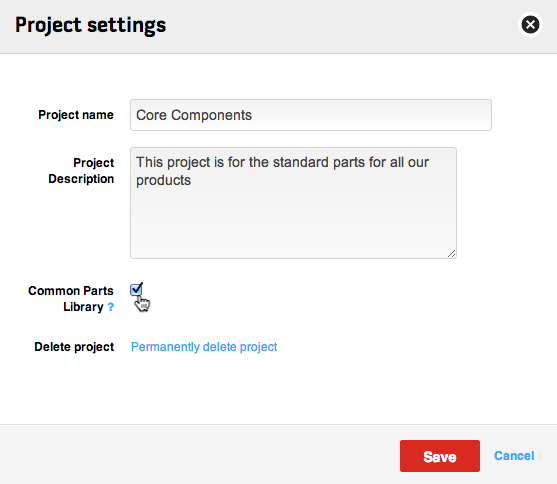 Create a project for your common parts and go to the settings menu. Enable the Common Parts Library setting as shown below. Users on your account are automatically added to this project. Create a folder on your PC for your Common Parts Library. 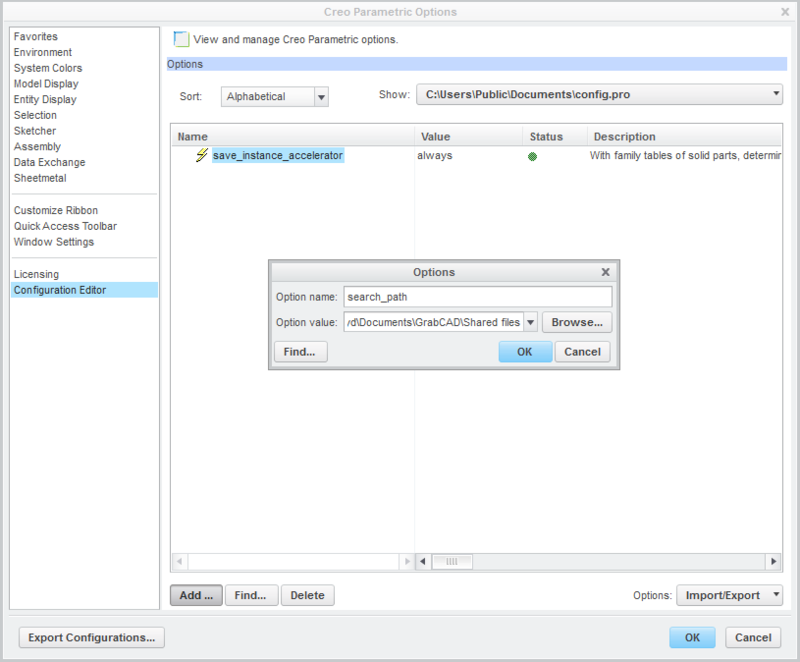 Copy and organize all your common components to the newly created folder in step 2. Launch the Workbench Desktop App and add the “Common Library Components” project by clicking “+”. Connect your “Common Library Components” project to the local folder created in step 2 by clicking “Link to folder”. Note that when you enable common parts library access to your project, all users on your account are granted access to this project. Additionally, when assemblies use parts from a common parts library project, those components in the library project cannot be locked using the "Lock assembly and components" feature. You can use the CAD system’s built-in ability to add search paths for each library project. Go to Tools > Options… > File Locations. Select “Referenced Documents” from the “Show folders for:” pulldown. Click “Add” and select the folder where your Library Components are located. You can also configure SolidWorks to create part files of your standard components in the specified location. In the Options menu, select "Hole Wizard//Toolbox" and hit "Configure"
Go to File > Options > Configuration Editor. Type "search_path" for Option Name, and click Browse to find the common parts library project folder, then click OK. If you have more than one common parts library project, repeat steps 1-3 for each folder.